With the aim of dedication, concentration and care, YOSHIDA SEIKO is looking for long-term global agents for win-win relationship to achieve mutual sustainable development. 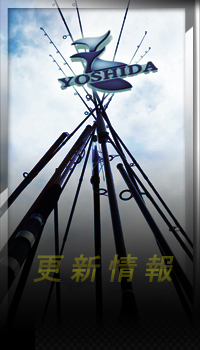 YOSHIDA SEIKO offers a variety of high quality fishing tackles with competitive conditions. It will help agents have considerable profit margin and earn the reputation from customers without in the Red Sea, Killing Fields of competition. If you need further information, please visit our website (http://www.yoshida-seiko1.com/index2.php) and email to peter.chang@yoshida-seiko1.com. We will reply you ASAP and earnestly hope to be your partner for win-win. Yoshida Seiko - Green earth & Green Life.